Grow MAGIC crystal covered shamrocks: This experiment from Housing a Forest is easy to set up, and the end result is pretty amazing! My kids loved it so much when we did this that we immediately set up to do it again! 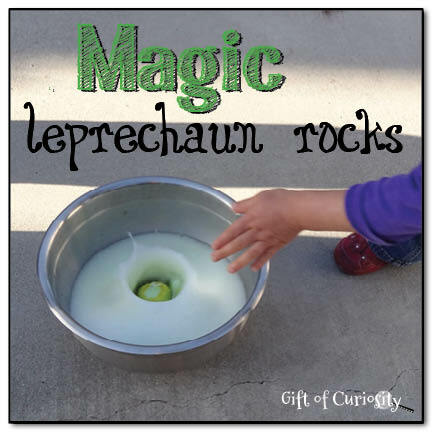 Make MAGIC leprechaun rocks: Kids will watch in awe as these rocks fizz and bubble only to reveal hidden treasures. This is magical science at it's finest! 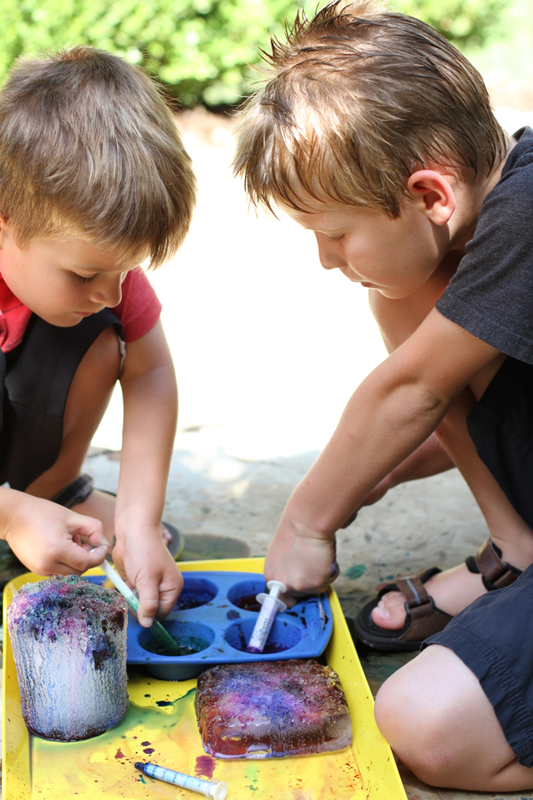 Make an exploding rainbow: When it comes to kids the baking soda and vinegar trick is one that never gets old. They truly LOVE this simple bit of science. Pair that with a rainbow, and you have an experiment they will not be able to get enough of. 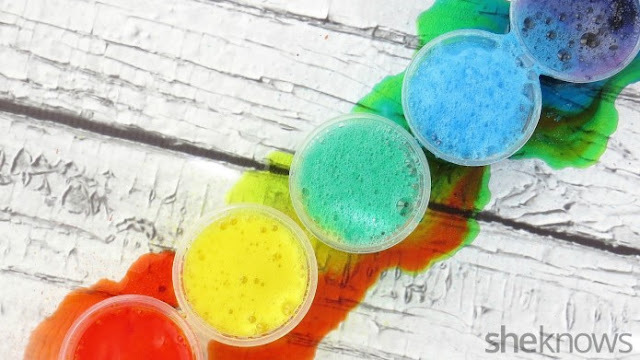 Make sure you have plenty of baking soda and vinegar on hand, because they will want to make this magical rainbow from She Knows explode over & over again! 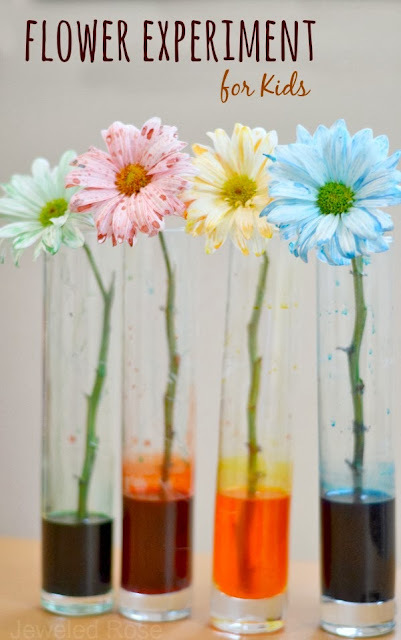 Make rainbow flowers: This science experiment is really easy to set up and visually illustrates to children how plants thrive. The rainbow flowers are beautiful, too! My girls loved checking on the flowers each day to see how much they had changed. Get our full tutorial here. 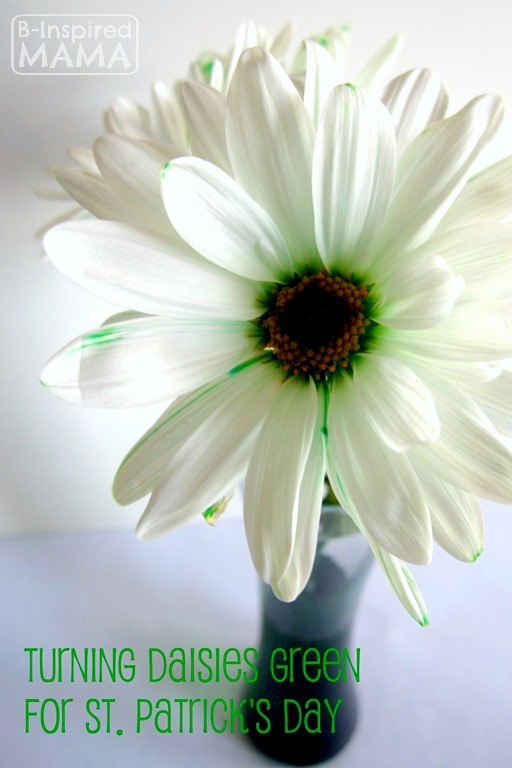 Make GREEN flowers: Rainbows go perfectly with St. Patrick's Day, but you can simplify the experiment above by making green flowers instead of the whole rainbow. The experiment will have the same wow factor but with a little less work. Maybe you only have green food coloring on hand? No problem! See how B-Inspired Mama did it here. Make a rainbow in a jar: I love this colorful experiment from Playdough to Plato. 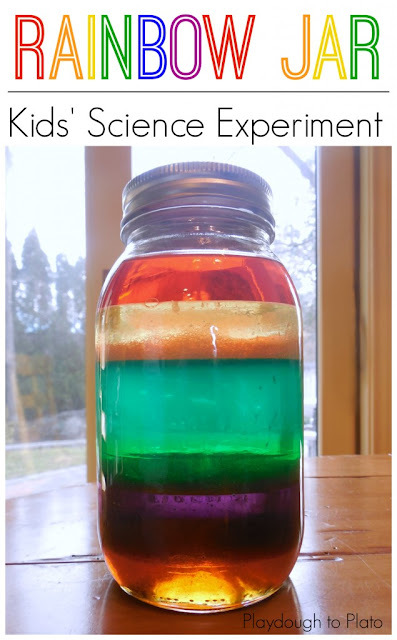 This experiment teaches kids all about liquid densities, and making a rainbow in a jar has that magical appeal that they will surely love! Grow lucky clovers: Kids learn so much by planting and watching seeds grow. 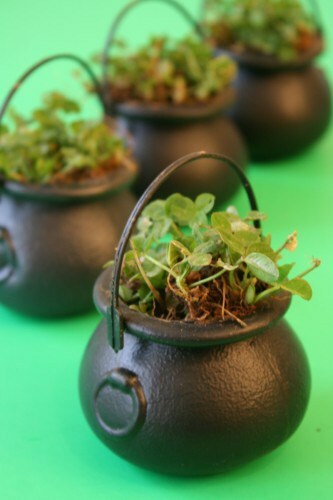 They will love growing their own lucky clovers! 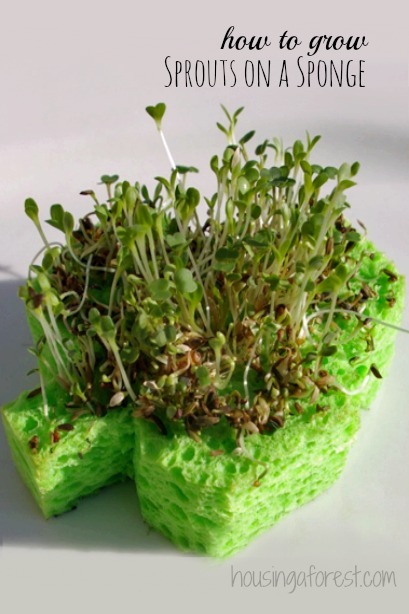 Grow shamrock sprouts: This is another fun growing experiment that the kids will love. Grow shamrock sprouts on a sponge. Get the full tutorial from Housing a Forest. 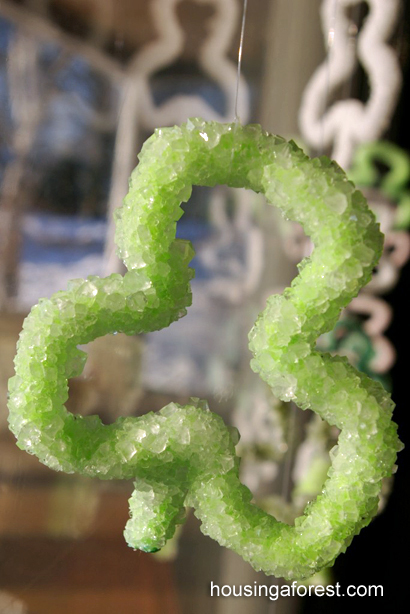 Make MAGIC Shamrocks: The baking soda and vinegar trick really is a favorite here. My kids truly love this simple bit of science. We took baking soda and made magic shamrocks with treasures hidden inside; getting the treasure out is all the fun! See how we did it here. 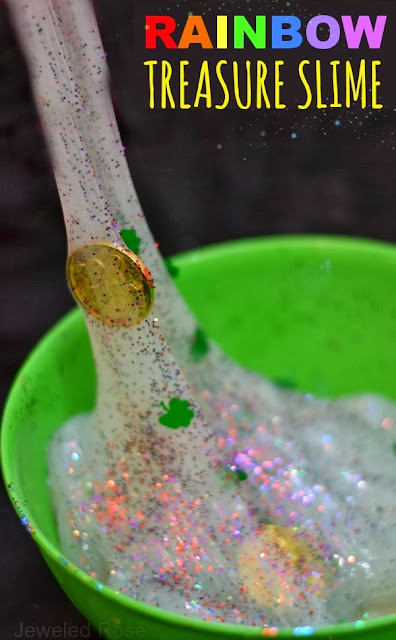 Make treasure slime: Make the slime by combining basic ingredients and watching the science happen as the ingredients react to each other. 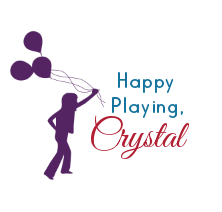 Add trinkets & treasures, and you have one fun treasure hunt! My kids went back to this several times & played for hours! 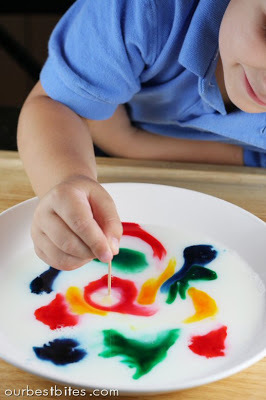 Magic Milk Experiment: This experiment is so magical and fun, and all you need is milk, food coloring, and dish soap. See how to do it here. 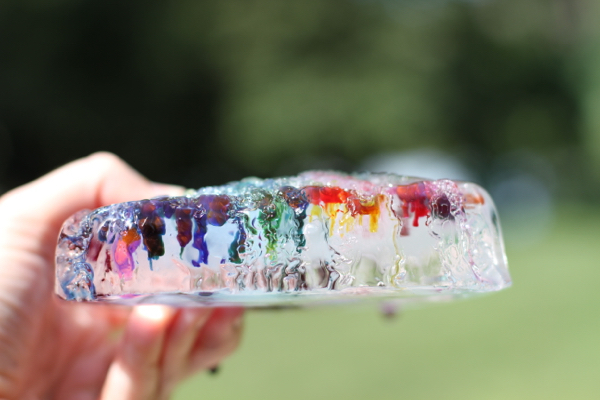 Rainbow ice tunnels science: this fun experiment from I Can Teach My Child will keep the kids busy for quite a while as they burrow through ice to make colorful tunnels using science. See how to set this experiment up here. Make rainbow rock candy: Kids especially love this experiment. Not only is it fun, but it ends with candy! Sweet!